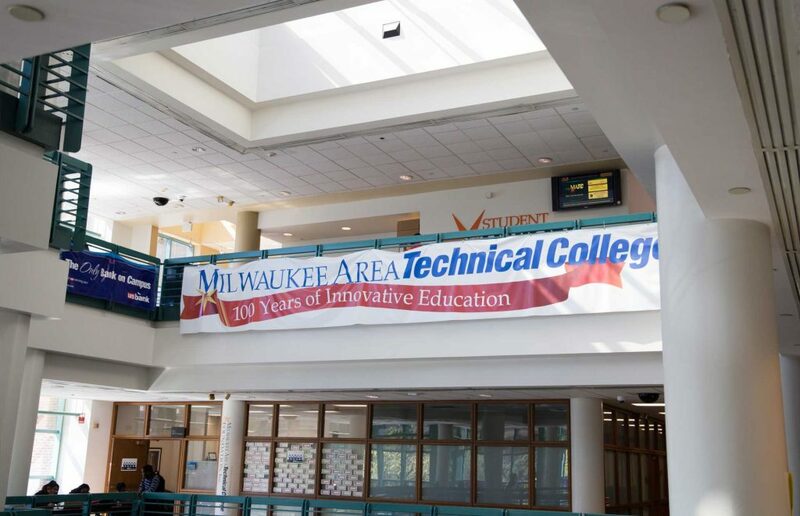 How to pick Information Technology Associate Degree Program in Milwaukee Area? What do IT Computer Support Professionals Do? 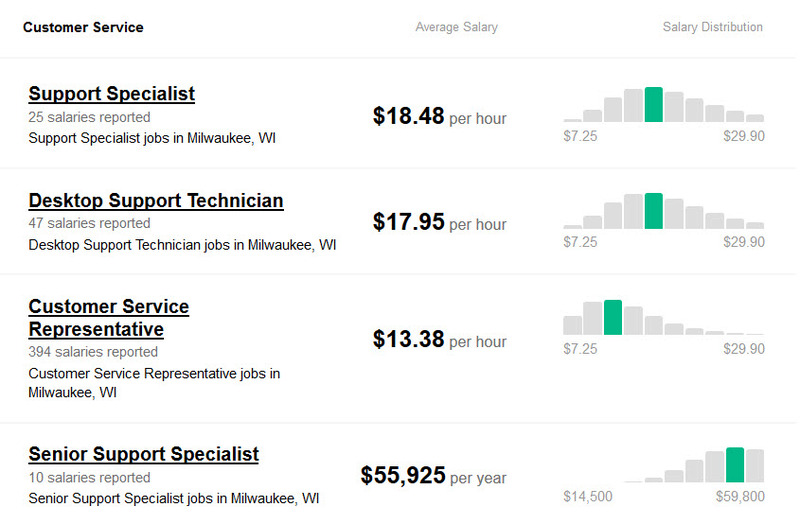 How Much IT Computer Support Specialist make? 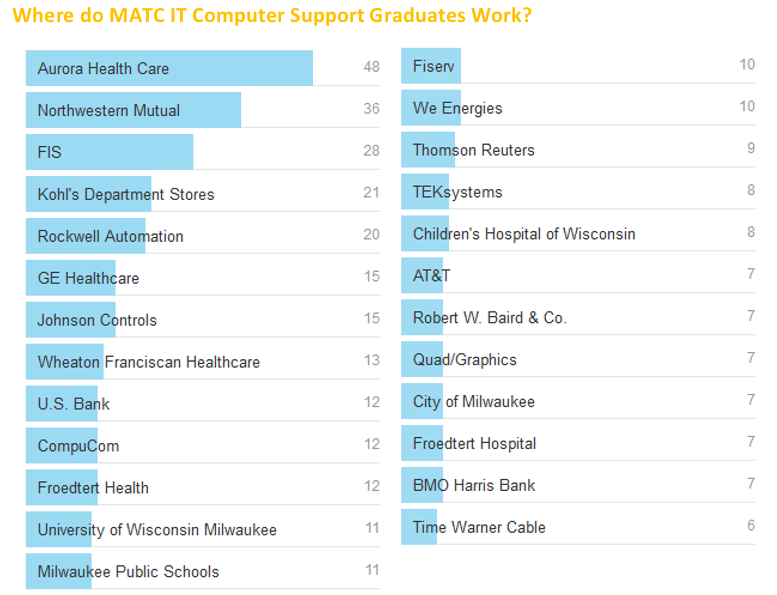 Where MATC IT Computer Support Specialist work after graduating? 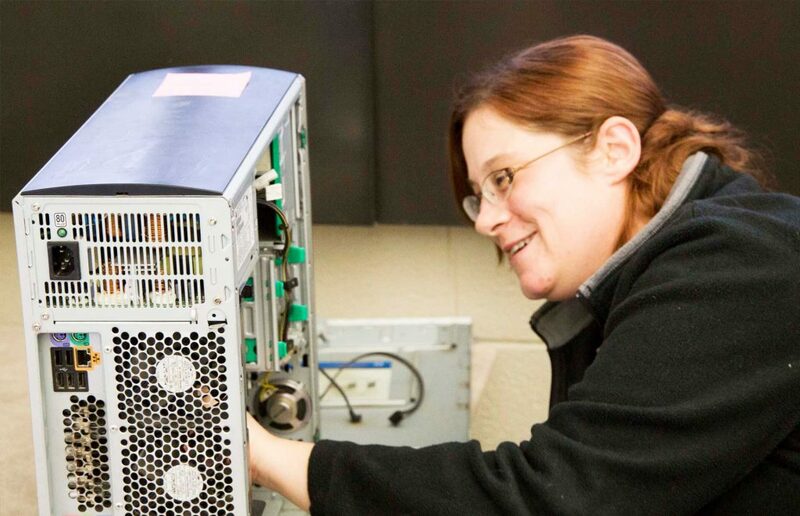 MATC IT Computer Support Specialist Program prepares students for a career in end user support. Some of the work that graduates do are to help businesses to administer, troubleshoot and deploy mobile devices, cloud systems, Windows Computers and Servers, OSX desktops and laptops, IOS and Android Mobile smartphones and tablets. Through hands-on activities and labs, students learn how to set up and configure laptops, desktops, servers and mobile operating systems and work with technologies such as machine virtualization and wireless networking. As part of the program students learn how to master latest technologies, obtain strong problem-solving skills and master the ability to work alone and within teams as part of the hands on excercises. Computer support specialists provide help and advice to computer users in public and private organizations. Support specialists either configure, secure, protect and maintain computers, mobile devices and networks or they provide technical assistance directly to computer users. Computer User Support Specialists (or Help Desk Technicians) help individual employees work through computer problems. Talking with workers who do not have an IT background, specialists avoid jargon as they ask questions to diagnose a computer problem, and then walk users through steps to resolve the issue. They also set up and repair computer equipment and train users on new hardware and software. The median annual wage for Sr Computer user support specialists was $50,210 in May 2017. 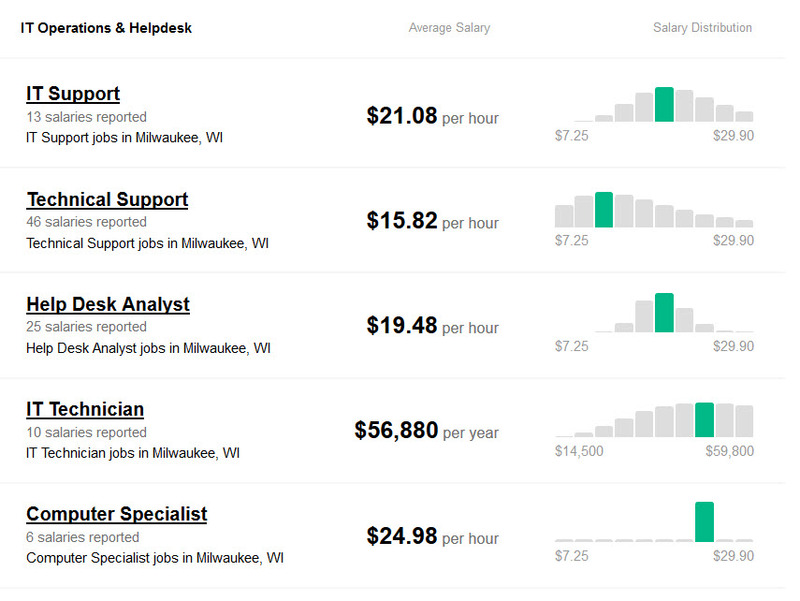 Based on the EMSI Occupational report there is a projected 21.6% growth in IT Computer Support Specialist jobs in the region (Milwaukee, Ozaukee, Racine, Washington, and Waukesha counties) between 2014-2024. Based on this estimate 674 additional jobs will be created between 2014-2024, projecting the total number of IT Computer Support Specialist jobs available in 2014 as 3791. Computer support specialists are employed in a variety of industries, including IT, education, finance, healthcare, and telecommunication. Many help desk technicians work for call centers and firms that contract with businesses, some work from home-based offices. Most computer support specialists work full time, and many work nights and weekends. There are many paths into this field; a bachelor’s degree is required for some positions, but an associate’s degree or related computer classes may be enough for other jobs. 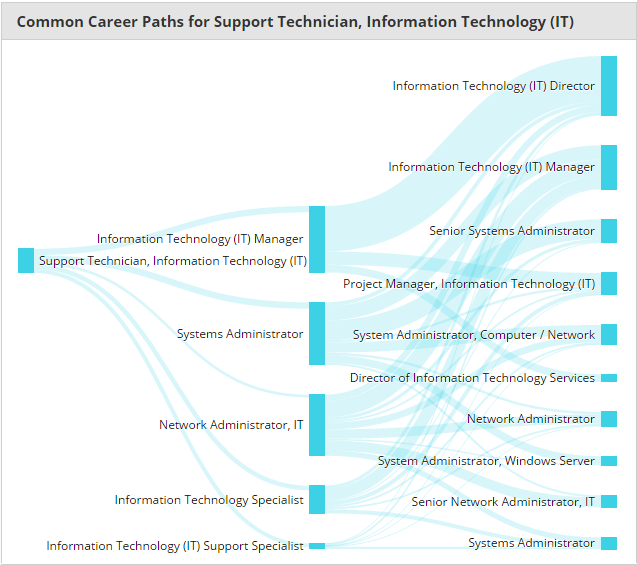 Some support specialists later become software developers and network and computer systems administrators. As their careers advance, they choose different options available, based on their education and skills they have acquired. Based on the information available on LinkedIn IT Computer Support Specialist students work in Operations, Support, Sales, Healthcare Services, Engineering, Finance, Consulting, Program and Project Management , Information Technology and other organizational units. If you answered yes to these questions, then the exciting and challenging world of IT Support Professional may be for you! 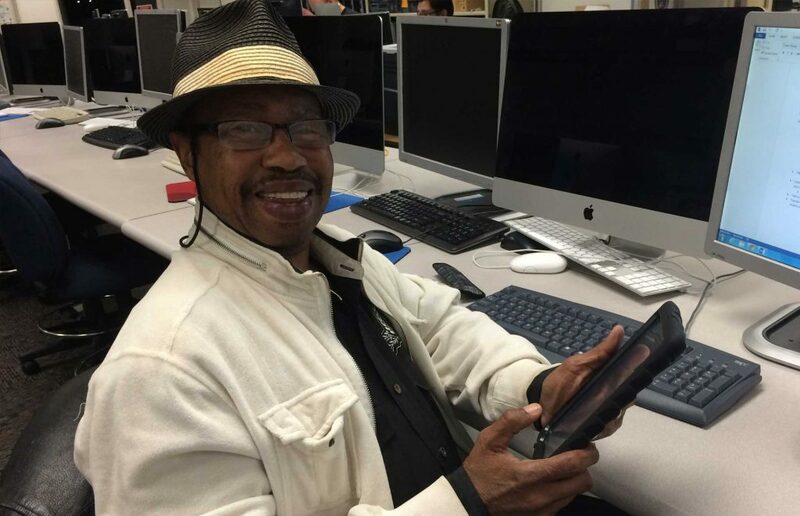 MATC’s Information Technology Support Pathway allows students to start with Pathway Certificates and work toward Technical Diploma and Associate Degree Program. These offerings are designed for people with no IT experience as well as those currently working in the technical field to quickly get educational credentials from recognized school and help accelerate your career. Online and face-to-face courses are available, providing students with greater flexibility in completing the program. To help student quickly start education process and get tangible outcomes fast MATC's Information Technology Computer Support Specialist Pathway have been created. Pathway is the ability for students to earn multiple educational credentials (i.e. Certificates, Technical Diplomas etc.) on their path toward Associate Degree. Pathway allows students to start small and get a certificate in one semester to start searching for the jobs. After getting the certificate students can apply for the job and either continue their studies while being employed (most of IT Computer Support courses are offered in the evenings or online) or take a break in education and return back to the studies later. 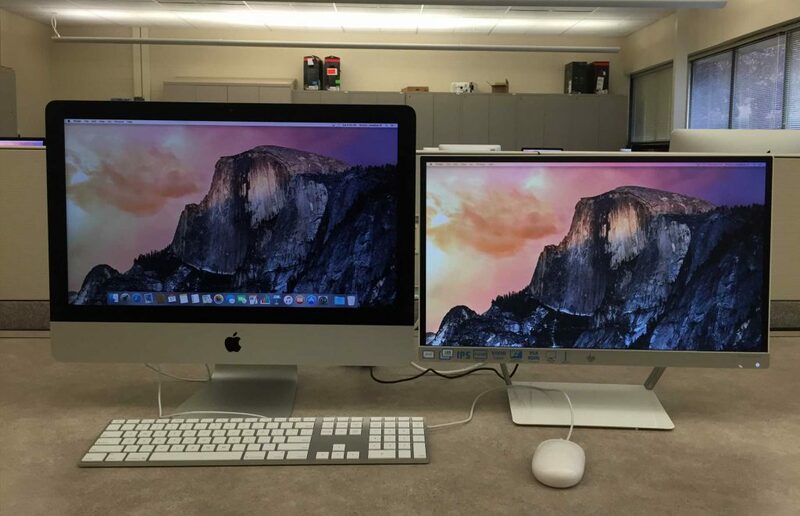 Pathway is helpful for students that might have different interests and goals with IT Support technologies, since it offers transfer opportunities to other IT Programs inside or outside of MATC. As part of IT Support Program we prepare students to pass IT industry certifications. You will be ready to take industry certification exams including CompTIA A+, Microsoft Certified Technology Specialist (MCTS) – Windows 7, HDI Support Center Analyst (HDI-SCA), HDI – Desktop Support Technician (HDI DST), ITIL Foundation, Apple OSX Certified Professional (ACSP), COMTIA Mobility+ Mobile Device Administration (IOS, Android), COMPTIA Network+ and COMPTIA Security+. IT Computer Support Specialist students are eligible to get COMPTIA A+, COMPTIA Network+ and COMPTIA Security+ and COMPTIA Project+ Exam Vouchers at discounted price. This helps students save money, if they decide to get COMPTIA certification. COMPTIA Project+ Certification Exam is designed for business professionals who coordinate or manage small-tomedium-size projects. The exam will certify that the successful candidate has knowledge and skills required to manage the project life cycle, ensure appropriate communication, manage resources and stakeholders, and maintain project documentation. As part of Information Technology Programs at MATC we would like to provide students with best experiences and make sure they succeed in their studies. An MATC counselor is your point person for information about your program and the classes you will need. Day appointments are available Monday through Thursday, 8 a.m. to 4 p.m. and Fridays, 8 a.m. to 4 p.m. An evening counselor is available Monday through Thursday from 4 p.m. to 6 p.m. on a walk-in basis. For more information about counseling, explore Academic, Career or Personal Counseling, contact your campus center, or email advising@matc.edu. As part of IT Computer Support Specialist program we would like students to succeed academically, so students can find jobs. You choose which way is best for you! Walk-In Tutoring: walk-in tutoring is for the student who occasionally wants to “drop in.” Times and subjects tutored vary. Supplemental Instruction (SI), also called group tutoring: Believe it or not, most people learn best in small groups! We offer Supplemental Instruction sessions that meet several times each week, with optional attendance. Structured Learning Assistance (SLA), also called embedded tutoring: Students can get valuable help with assignments and studying in Chemistry by taking classes with assigned tutoring sessions. Online Tutoring: Can't get to campus for tutoring? Try one of these services via the Internet. 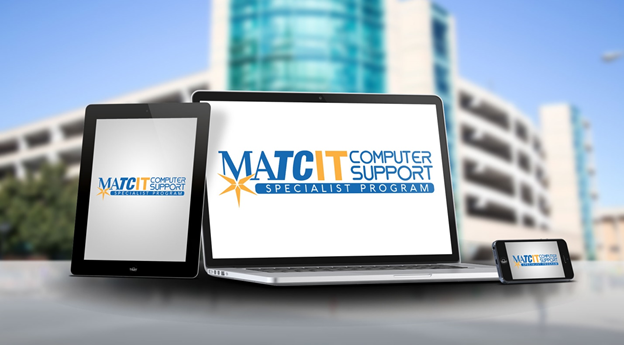 MATC IT Computer Support Program makes it easy for you to start your bachelor's degree. You can seamlessly transfer many MATC credits to virtually any four-year college or university in Wisconsin, and to others across the nation. Every 6 month we meet with IT Professionals from Milwaukee Area to alight IT Computer Support Program curriculum and course offerings based on IT industry trends in Southeast Wisconsin. These advisers hold key management and leadership position in Milwaukee and bring to variety of perspectives and strengths gained through their education, careers, personal experience and their volunteer service in the community. 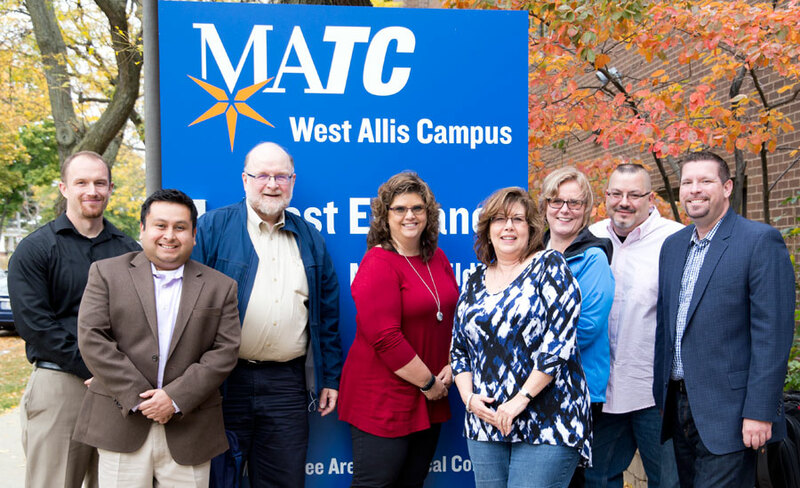 Our team of trusted advisers cares deeply about success of Milwaukee community, our student's success and making MATC IT Support program the best educational offering in Milwaukee area. Some of the members of our Advisory Committee are graduates of MATC.